Names: There are several closely related species of tiger salamanders: Eastern tiger salamander (Ambystoma tigrinum), California tiger salamander (Ambystoma californiense), Mexican tiger salamander (Ambystoma velasci). Subspecies also exist. Unlike other salamanders, tiger salamanders are personable, hardy pets. Colors of tiger salamanders vary depending on what species or subspecies they are. The basic coloration of tiger salamanders is yellow blotches, spots, or bars against a black background, although patterns and intensity of color vary among the subspecies. Some of these subspecies have a tendency to exhibit neoteny, breeding in the larval form and never undergoing metamorphosis into the adult terrestrial form. The larval tiger salamanders closely resemble the axolotl (a related salamander that typically reproduces only in the larval form), and are sometimes sold as "water dogs." The larval stage is entirely aquatic so tiger salamanders can live in an aquarium with six inches of water and some rocks to hide in. They should be kept between 65 and 70 degrees, but do not exceed 72 degrees. A good water filter is required and aeration with an air stone is recommended. Particular attention must be paid to the water quality, especially ammonia buildup and the pH of the water. Eventually (this may take months to years) the larva will lose its gills and emerge from the water to take on the adult form. As this occurs, the amount of water in the tank should be gradually reduced and a land area should be provided. Once metamorphosis is complete the salamander can be kept in a terrestrial tank setup. A substrate suitable for burrowing must be provided. Many owners use potting soil (no vermiculite), peat, and bark chips, or sphagnum moss. Anything that can be kept moist and allow burrowing is fine, so gravel is not appropriate. However, keep in mind that due to their size and healthy appetites, tiger salamanders do produce quite a bit of waste, so their cages will need frequent cleaning. Do not expect to have a permanent or elaborate setup. Plants, bark pieces, rocks or other hiding places should also be provided and you should have multiple hiding spots per cage. A large but shallow dish of water should also be provided to adult salamanders (no more than 1 to 2 inches deep). Your salamanders might enjoy soaking in the dish and the water will need regular cleaning too. Never use distilled water. Heating is typically not required as tiger salamanders should be kept at room temperature or slightly below. The enclosure should not be wet but the substrate should be slightly damp. When cleaning the tank, use only very hot water and no detergents. Salamanders have extremely sensitive skin and also absorb chemicals readily through their skin. UV lighting is not required, but a regular light-dark cycle mimicking that of the area they are native to should be maintained with incandescent lighting, preferably on a timer. Tiger salamanders have a healthy appetite and should not be overfed as they will become obese. Larva will take aquatic invertebrates such as brine shrimp, insects, small fish, and worms. Adults can be fed a selection of feeder insects such as crickets, earthworms, and wax worms, a selection of wild caught insects (be sure the area they are collected from is not sprayed with pesticides) and they can also be fed the occasional pinkie mouse. As with most exotic pets, it's a bad idea to try to keep a wild salamander in captivity. Tiger salamanders are found in a wide range across North America and although they are still common, they are protected in some areas due to shrinking habitats. It may be illegal to take them from the wild where you live so avoid going out and catching one. This is a dilemma in the pet community because captive-bred tiger salamanders are not widely available since breeding has proven difficult. However, it's always best to find a reputable reptile breeder, who can tell you whether your prospective pet has any health conditions and give you some insight into its personality. As a general rule, avoid purchasing any lizard with dry patches on its skin; this can indicate a problem with shedding. If a lizard is drooling or wheezing, it may be a sign of a respiratory infection (which is uncommon but not unheard of in salamanders). A healthy tiger salamander's eyes should be clear and free of any pus, and it should take food readily when it's offered. 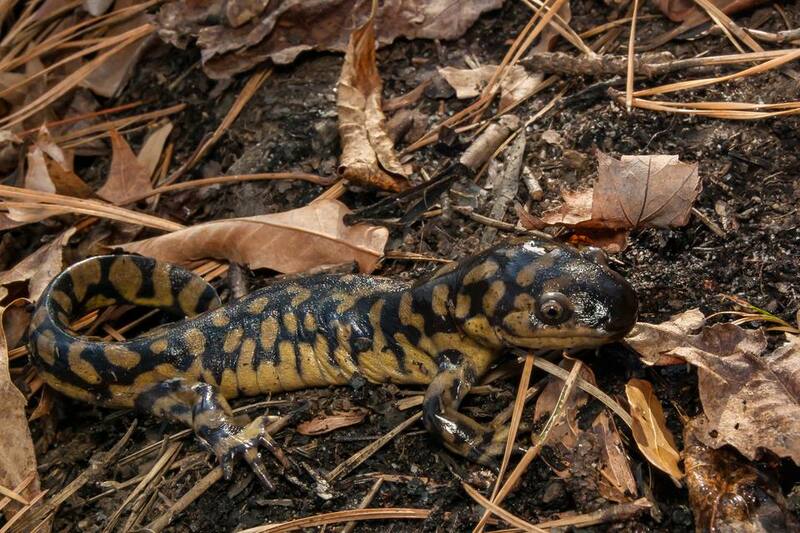 Tiger salamanders, like other reptiles, are susceptible to respiratory infections. Symptoms include wheezing and mucus around the nose and mouth. Parasitic infections also are common in tiger salamanders, although not as often as other reptiles. If they're stressed of suffering from another ailment they're prone to a parasitic infection. Tiger salamanders also are carriers for a fungus called Batrachochytrium dendrobatidis. Salamanders are immune to this fungus, but they frequently spread it to the frog population in the wild, where it causes the deadly disease chytridiomycosis. And like other reptiles and amphibians, tigers salamanders can carry ranaviruses, which are known to kill large numbers of salamander larva. Ranaviruses are responsible for decimating many wild frog populations. These diseases illustrate why it's important to try to only keep captive-bred lizards as pets, because the likelihood they carry these deadly fungi and viruses are extremely low. If your tiger salamander seems sluggish or is losing weight, bring it to a veterinarian who specializes in reptiles. Both are signs of a sick salamander. Otherwise, check out our profiles of other breeds of lizards.